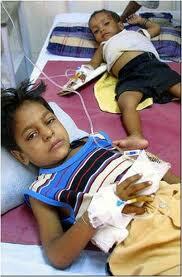 Treatment for cholera or cholera disease is given by rehydration. Adequate volumes of electrolytes, intravenous fluids and rehydration salts are given to a cholera patient. Antibiotics are also used to reduce the requirement of fluids and the timing of illness. There are several cases for which antibiotics are administered. These antibiotics are ciprofloxacin, erythromycin, doxycycline and tetracycline. Degree of dehydration should be evaluated for a patient in 2 phases. Antibiotics are given for the cholera treatment in severe cases only otherwise the routine treatment is given with oral rehydration to compensate dehydration. Microbiological principles state that antibiotics are given to secure the case of cholera and these are effective against any bacterial infection where bacteria take a long time to end its cycle of cholera toxin. ORS is also given in case of oral treatment of cholera. ORS contains proportionate amounts of electrolytes, mineral salts and glucose that are required by the body when fluids have lost. Another alternate way of cholera treatment is through cholera vaccine.